As you undoubtedly have noticed, clean water technologies make up much of the content contained in the “A Layman’s Guide to Clean Water”. Don’t let this mislead you. The topic of providing access to clean water, hygiene education, and adequate sanitation goes way beyond the provision of technology. At its core, the issues concerning water, sanitation, and hygiene are issues of poverty alleviation. Clean water technologies are never the whole answer to the challenge of creating lasting change. All technology is simply a tool through which we address specific problems in our environment by applying knowledge that we have accumulated through purposeful research or trial and error. The history of community development is full of stories and examples that illustrate the failure of technology as the primary solution to any community’s problems. Whether the technology is deemed to be “appropriate technology” or not, problems have always arisen when attempts to achieve development goals have rested on the use of technology alone. One well known anecdote recalls the earlier days of development in newly independent African nations. In an attempt to improve the agricultural efficiency and yields in some nations, well-meaning organizations naively set up agricultural operations like the ones used in developed nations. 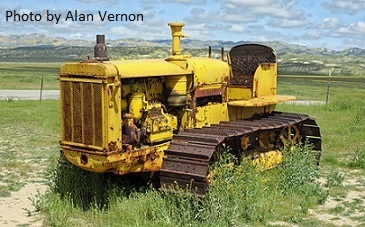 Mechanized agriculture was seen as the answer to problems of food shortage and famine. Perhaps the African communities lacked the training needed to maintain the complex agricultural equipment. Maybe the parts needed to repair the equipment were not available. Maybe, after a thousand years of subsistence farming, large-scale agriculture was just not an appropriate step toward self sufficiency. Whatever the material, economic, or cultural reasons, lots of farm equipment became abandoned, rusting, and useless, at least for its designed purpose. “Appropriate technology” soon became the new axiom. Better to supply a community with simpler, easier to maintain, and easier to operate equipment. Appropriate technology was certainly a revelation for many back in the 70’s when the term came into common usage. It was a turning point in our understanding and approach to community development. Still, it is a mistake to think that providing even appropriate technology, alone, will lift communities and individuals out of poverty, or provide for long-term change in their way of life. The true cause of poverty is not simply a lack of appropriate technology. We can solve and have solved many problems with clean water technologies. For instance, biosand filters, ceramic filters, and relatively simple shallow well drilling equipment can all make the problem of finding and purifying water possible in places where it is needed. But, clean water technologies are dependent upon humans for their existence. Without culturally appropriate education and maintenance, ownership, responsibility, follow-up, and constant care, all of our material solutions to everyday problems will eventually become inoperable and turn to rust and dust. Additionally, as described in “the meaning of sustainable development”, the process of community transformation is multifaceted. Lasting change takes time and commitment and the building of long-term relationships and institutions. Technology can address many problems that we experience on a daily basis, but it is not the final answer. Return to "Change That Lasts" from "Clean Water Technologies"